Haulage boss and a mechanic Jailed !!! Home » Accessible Ltd - News » Haulage boss and a mechanic Jailed !!! 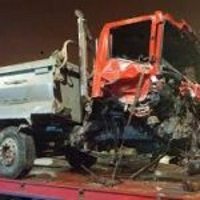 A haulage boss and a mechanic have been jailed following a 2015 tipper truck crash that killed four people in Bath, and today were sentenced at Bristol Crown Court to seven and a-half years and five years three months, respectively.The lorry had “truly serious faults” that were “obvious to anyone” according to investigators. Grittenham Haulage Ltd had a “cavalier” attitude to maintaining vehicles and the fact is that a lorry as heavy as this is likely to cause serious injury and death to members of the public unless properly maintained. The failures regarding the brakes on this 32-tonne tipper truck were “inexplicable” said the Judge. The incident was described as “horrific” by Avon and Somerset Police, which led a 22-month investigation into the crash. DCI Richard Ocone said the sentences reflected the seriousness of the offences committed.